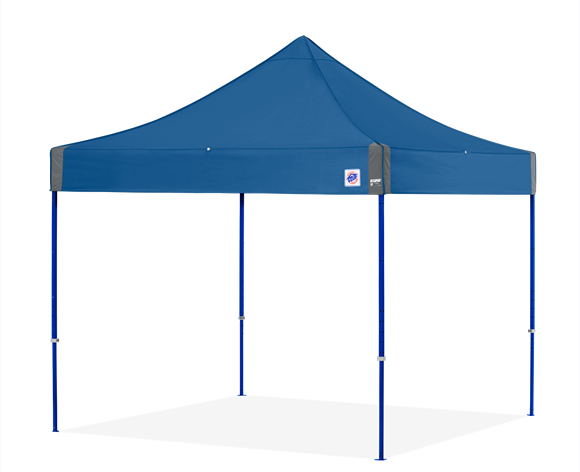 Any company, team, or personal logo may be printed on our top of the line EZ-Up canopies. Graphics can be applied to your E-Z UP shelter in many sizes, colors and locations! iCanopy’s staff of expert graphic designers, screen print artists, digital image processing and professional seamstresses will turn your design ideas into an attention grabbing display booth. Once you have selected which canopy is best for you, selected a custom color and submitted your artwork, you are ready to place your order! Call or Email us at 888-9iCanopy between 9am and 4:30pm PST, Monday – Friday, info@icanopy.com. 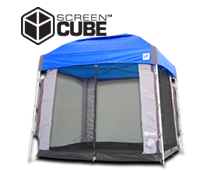 Once your order is placed, your canopy will be shipped out within 11 business days. In a hurry? Rush production and delivery times are also available. Contact us for complete details. 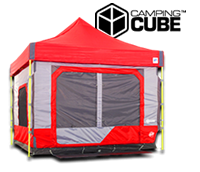 Your custom canopy is produced FAST. Timeframes vary based on number of units and quantity. Our custom canopies have the fastest turnaround time in the industry. Need a Rush Order? No problem. We can get one to you as fast as 24 hours. 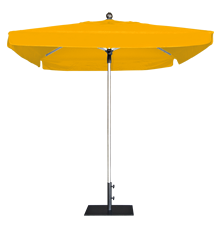 iCanopy has canopies for every occasion. 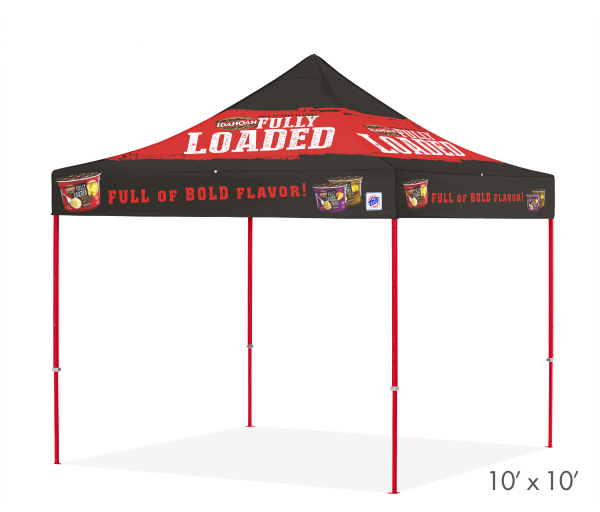 Whether you are looking for a heavy-duty, maximum use canopy or something more casual for weekend tailgating, we stock all levels of E-Z UP canopies for your convenience. 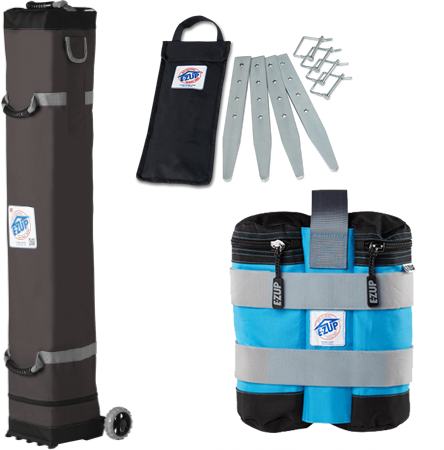 Professional – Heavy duty grade. Very frequent use. Max weather resistance. Commercial – Medium duty grade. Use once a week. Moderate weather resistance. 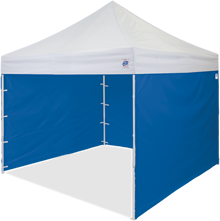 We also have a variety of different sizes of pop up canopies available, ranging from 5 ’ x 5 ’ to 10’ x 20’ to 16’ x 16’! Click on the sizes below to view available models. 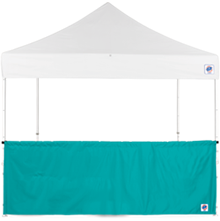 Show support for your local team with custom team colors and/or graphics, promote your business with your company logo, or customize your pop-up canopy to your specifications with custom colors and top patterns. For quickest custom production results, please make sure that any submitted artwork follows iCanopy’s artwork guidelines. When selecting graphics and text for your custom canopy, keep in mind the shape of the canopy top. The valance is ideal for printing a company website, phone number, or any other text. Graphics on the peak look best centered both vertically and horizontally, circular or square images are ideal for this situation. If your logo or graphic is an odd shape, our team at iCanopy will be happy to suggest the best alternative for your specific situation.